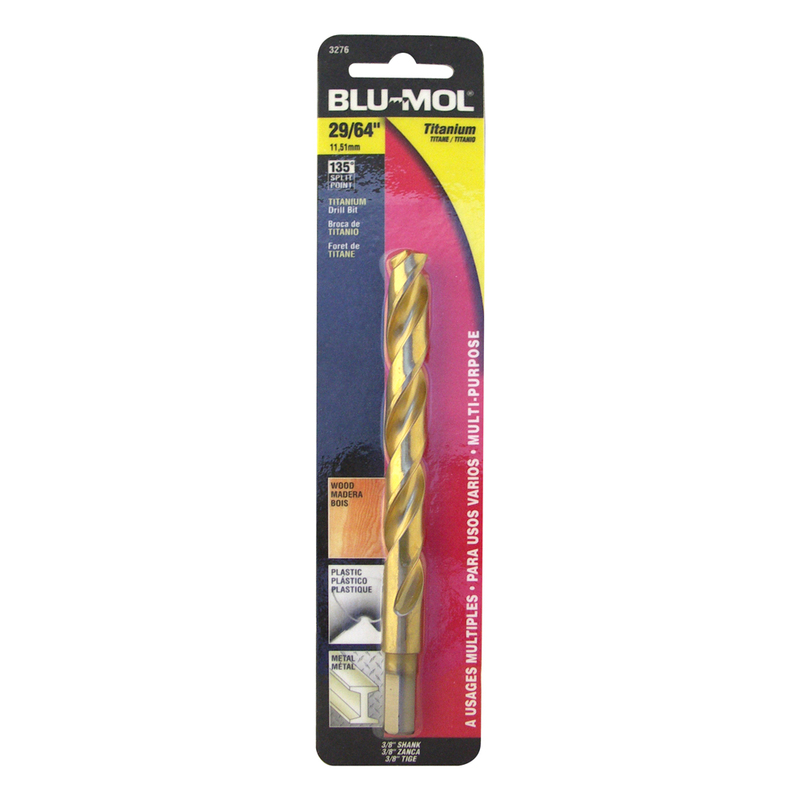 Blu-Mol® Titanium M2 steel drill bits provide the best performance needed in industrial and multi-purpose applications in soft metal, brass, bronze, low alloy steel, sheet metal and moderate jobs in hard metal and heat-treated steel. M2 high-speed steel for a stronger durable industrial quality tool. 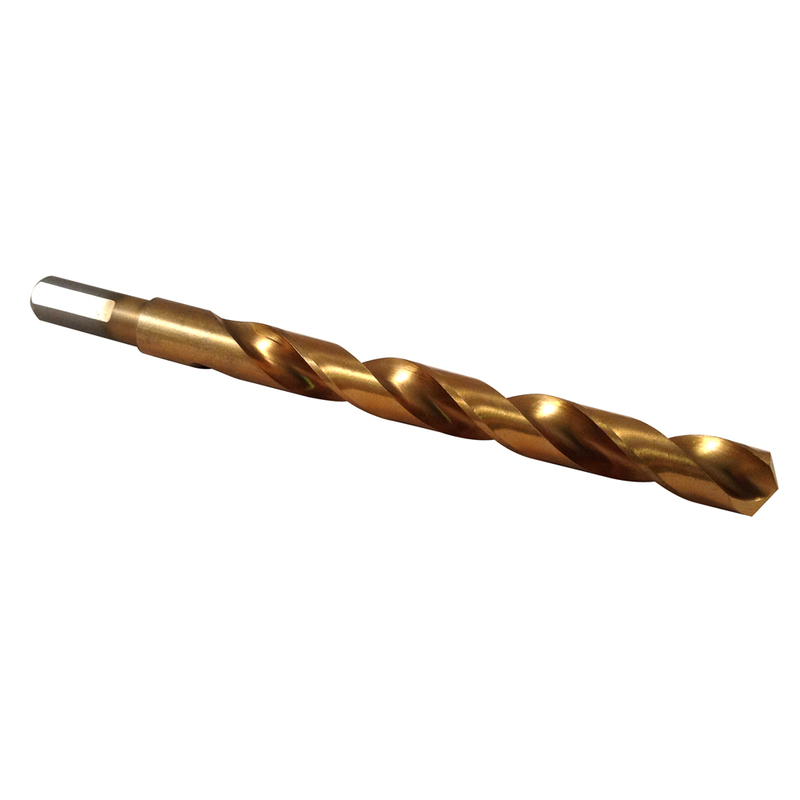 Titanium coating for superior performance with increased speed and feed applications plus extended drill bit life.